The Russian pianist reveals two facets of the composer�s music on this disc by juxtaposing the First Piano Concerto in C minor op.35, an �insolent� composition with a kaleidoscope of atmospheres and stylistic registers (Russian Romanticism, American jazz, neoclassicism) that constantly surprise the listener, and the more traditional Concerto in F major, which radiates youthful high spirits. A pupil of Sergey Ossipenko at the Serge Rachmaninoff Conservatory, then of the great Evgeni Koroliov at the Musikhochschule in Hamburg, Anna Vinnitskaya won the Leonard Bernstein Prize, but it was her First Prize at the Queen Elisabeth Competition in Brussels in 2007 that launched her career. 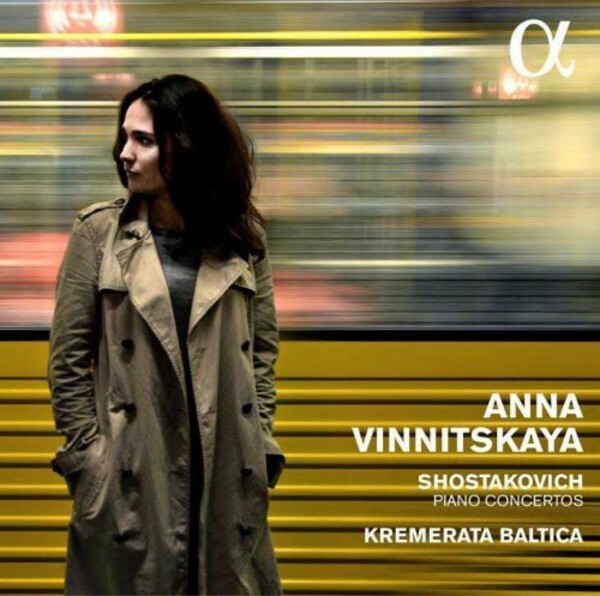 For this recording, Anna Vinnitskaya is surrounded by partners of the front rank: the famous Kremerata Baltica, regarded as one of the most creative ensembles on today�s musical scene.